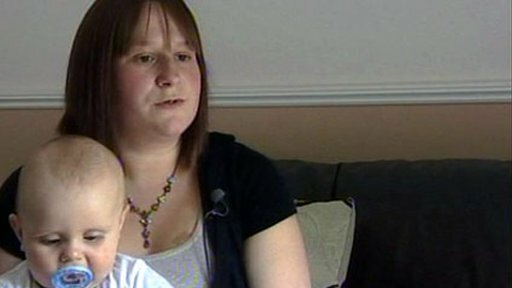 A mother has criticised security at a Lincolnshire hospital after a stranger tried to carry off her son. Alice Rawson, from Lincoln, said she saw a woman pick up her nine-month-old baby Ethan from the cot in Lincoln County Hospital and try to walk off. The mother-of-three challenged the woman and took back her son. Hospital managers have apologised over the incident earlier this week and said no patients or visitors could leave the ward without being released by staff. They also said they constantly reviewed and updated their security. Ms Rawson said the lack of security on the Rushton ward was disgusting: "Even doctors and consultants have just been letting other patients in because they have been stood behind them at the door so they just hold it open. "They say they have a buzzer system but people come and go and I feel she could have taken my baby anywhere." It is understood the woman involved is known to the hospital.